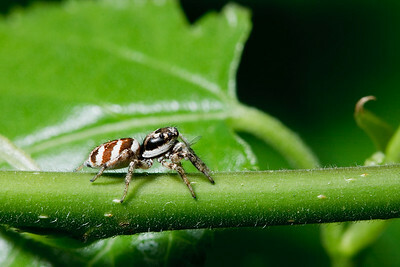 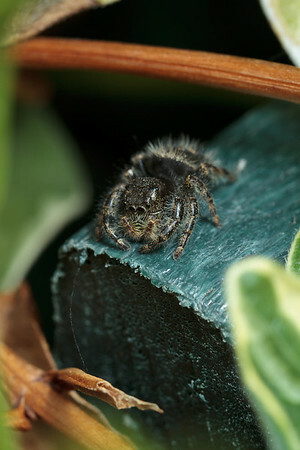 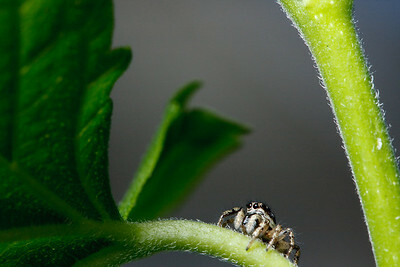 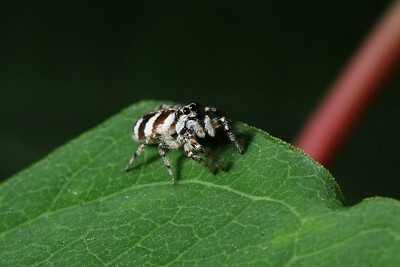 Macro photographs of jumping spiders. 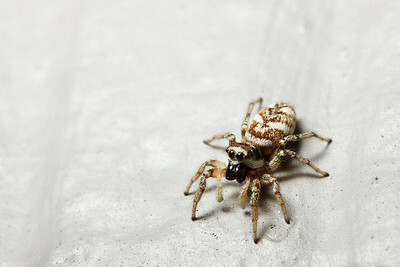 A zebra spider (Salticus scenicus) climbing on a white wall looks back at the photographer. 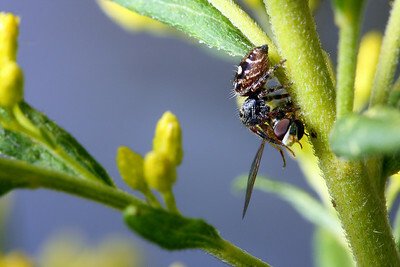 A jumping spider clings to the stem of a plant with its prey, a freshly-caught hoverfly. 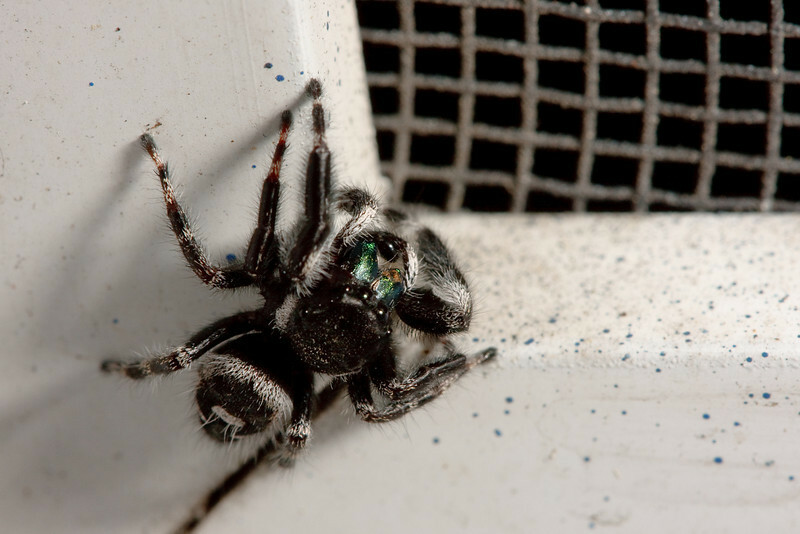 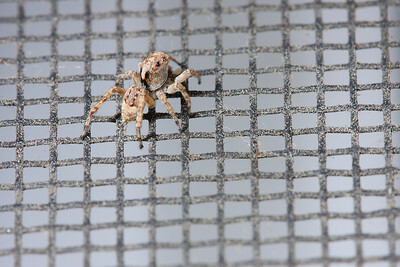 A small jumping spider on a window screen.